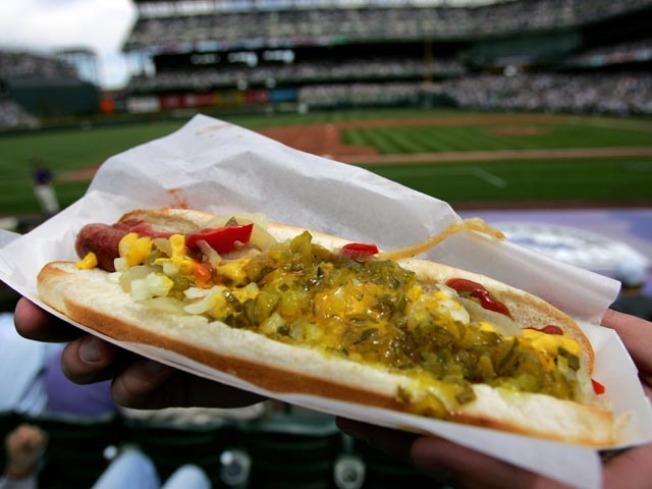 Do you know what's lurking in your stadium food? ESPN finds out. The price of parking may make you sick to your stomach, but it's what inside the stadium that could possibly cause a real stomach ache, according to a new report from ESPN. ESPN's "Outside the Lines" took a look at health department inspection reports at 107 professional sports stadiums, including 12 in California. According to the data, the Tampa Bay Rays' Tropicana Field and the Washington Wizards' Verizon Center were the top offenders. At each stadium, every single food and drink vendor received a critical violation in the last year. "Ten of its 12 stadiums had among the lowest percentages of vendors in violation," according to the report. Critical or major violations include food temperature, cross-contamination, hygiene, equipment and rodent or insect contamination, according to ESPN. The Ducks' Honda Center (3 percent) and the Giants' AT&T Park (4 percent) were the top performers in the state. The McAfee Coliseum in Oakland posted the worst score in California, with 34 percent of its vendors in violation of health requirements. The report is careful to point out that so far, food served at professional sports stadiums have never been linked to a mass foodborne illness outbreak. Angel Stadium of Anaheim Los Angeles Angels 16% Most recent inspection reports show improvements on rat-related violations that occurred in prior visits. ARCO Arena Sacramento Kings 25% Inspectors found some shrimp pasta salad at 52 degrees, which was too warm. AT&T Park San Francisco Giants 4% Inspectors found a few instances of food being kept at improper temperatures. Candlestick Park San Francisco 49ers 13% Inspectors found one location with no hot water, posing a sanitary threat. Dodger Stadium Los Angeles Dodgers 13% At least one location had mold growing inside an ice machine. Honda Center Anaheim Ducks 3% The only major violation was for not having chlorine sanitizer in the kitchen's dishwashing machine. HP Pavilion at San Jose San Jose Sharks 20% At one location, inspectors found Chinese chicken salad had warmed to 60 degrees, about 20 degrees above a safe temperature. McAfee Coliseum Oakland Raiders, Oakland Athletics 34% Several locations lacked adequate hand-washing equipment. Oracle Arena Golden State Warriors 19% Potato salad left out at an unsafe temperature during one game was put back into a cooler to be reused. Petco Park San Diego Padres 10% At one location, chicken salad and turkey wraps were measured at 53 to 55 degrees, above safe temperatures. Qualcomm Stadium San Diego Chargers 17% Food was not being held at a proper temperature at at least seven locations. Staples Center Los Angeles Clippers, Los Angeles Lakers, Los Angeles Kings 11% One stand dumped 9.5 pounds of sushi after inspectors found that it become too warm.